Teachers who once shunned the idea of students citing Wikipedia on class assignments now are embracing the Web site as a teaching tool. Dozens of teachers at high schools and universities – including several in California – are assigning their students to write and edit entries for the online encyclopedia. The projects are designed to help students improve their research and writing skills, while adding to the public knowledge. Sheldon Gen, an associate professor at San Francisco State University, asked students to write Wikipedia entries for an environmental policy class. His graduate students chose topics ranging from Mendocino County’s ban of genetically modified organisms to recent amendments to the Clean Air Act. Gen said some students initially were skeptical of Wikipedia and the assignment. Eric Goldman, an associate professor at the Santa Clara University School of Law, said he warned his students that the editing process for Wikipedia entries could be ruthless. The Wikimedia Foundation, which operates Wikipedia, has worked with 24 universities in an initiative to improve the U.S. public policy entries on the site. Professors at UC Berkeley, the University of San Francisco and USC also participated. 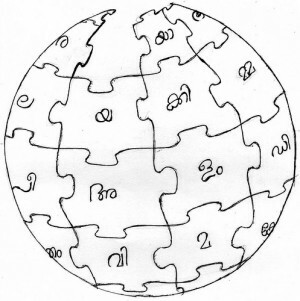 The Wikimedia Foundation recently announced that it is expanding the project to all topic areas and countries. Foundation spokesman Frank Schulenburg said teachers began assigning students Wikipedia entries in the early days of the site, and the foundation liked the idea and decided to support it. The foundation has not always been able to keep up with the demand for sufficient support and help in navigating Wikipedia’s technical aspects. In fact, some professors say they have opted out of projects because they lacked adequate support from Wikipedia to keep students on track. Goldman acknowledged that while rewarding, the project took considerably more time than expected, and he’s not sure he will do it again. Next spring, the Wikimedia Foundation plans to begin a pilot program with a high school teacher in Virginia to see how younger students do. Some high school teachers already have experimented with assignments on their own. One of Butler’s students, Timothy Hatfield Jr., 17, spent months combing through scientific journals, articles and books to help write and edit a 5,200-word article on the loggerhead sea turtle. He analyzed reference material from several countries and attained permission from photographers to publish their work on the site. Hatfield made 476 edits to the article, all tracked on the Web site, and the article eventually earned featured status, a designation fewer than 1 percent of all entries receive. Eleanor Yang Su is a contributor for California Watch, the state’s largest investigative reporting team and part of the Center for Investigative Reporting. Learn more at www.californiawatch.org.